If you’re looking for a new Leather Loop band to customize your Apple Watch experience, and really can’t justify $149 for Apple’s official option, then consider this 3rd-party Leather Loop option that comes complete with a magnetic closure system. Oh and it looks and to an extent even feels like the real deal from Apple. Price? Just $14.99. Now that’s a steal. The third-party Leather Loop band that we have here has been crafted out of “premium quilted leather” which “has a smooth texture for a surprisingly soft feel”. And of course, the magnetic closure system here works exactly like the one on Apple’s official offering, so no one can tell that you’re not sporting the $149 band if these kinds of things matter to you. The company behind this non-official offering is serving up the band in Black, Gray, and Midnight Blue finishes for the 38mm model. 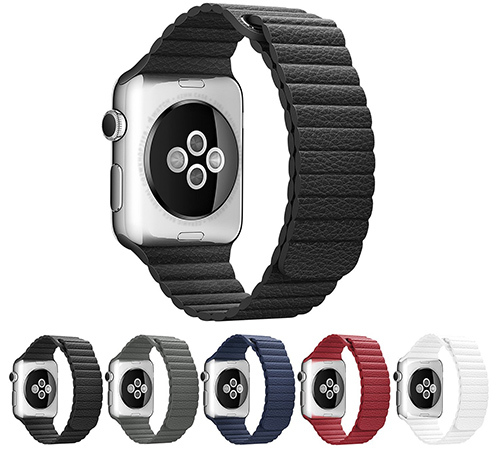 There’s also Midnight Blue and Red options for those with the larger 42mm Apple Watch. It can be all yours for a fraction of the cost of the original courtesy of a discount code. Yes, that’s right, using the following promo code at check out means that you can actually get this fantastic Apple Watch band for just $14.99: 9JGNFFVF. That’s a premium looking and feeling additional band for approximately 1/10th of the price of Apple’s official band option. It almost makes it worthwhile taking the opportunity to get one of these in every color. This isn’t the only third-party product you can purchase that will save you a ton of money when extending the personalization options of your Apple Watch. If you prefer something a little darker and more mysterious, then there’s this gorgeous Space Black Milanese Loop clone that retails for just $23 compared to Apple’s $199 option. If that kind of saving doesn’t blow your mind, then there’s also this stunning Link Bracelet clone for just $65 compared to Apple’s official option costing $449. 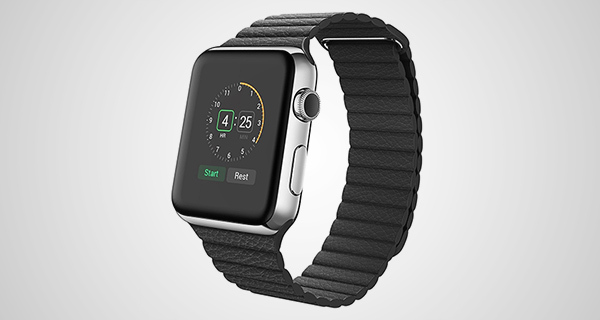 The Apple Watch is definitely a premium product that has catapulted itself instantly to the forefront of the market that it exists in, but that doesn’t mean you have to continually line up Apple’s pockets with your hard-earned cash. Update x1: Promo code deal is over. The band now costs $36.99. He is just fulfilling Master Jobs’ legacy. Who’s the seller? Because the code is bogus.